You are the expert on your business: whether it is your art practice, architecture firm, or if you are writing a novel. Your projects, your approach, your accounting techniques, your communication style, your social media accounts, your ideas, they belong to you. Working alone in your studio or in a small business can mean a lot of second-guessing of yourself and a lot of feeling isolated. It can all feel like too much, or like you're not doing something right. Right? We get it. But remember that you ARE doing it right by doing it. By showing up and working hard and translating your creative vision to the world. That is your job and only you can do it. We don't have to follow a normal 9-5 schedule. We are excellent communicators and pretty good at managing our time (both within and outside of a normal workday schedule), and we will get things done and be productive. It's better to experiment and fail than not to try. Being present for our families and our clients is the biggest priority. Sometimes momentum can stall when life gets in the way. We love what we do, and therefore have the energy to pick it back up again. We have the job of helping amazing people get the opportunities they want by verbalizing and focusing on why they are so unique. And it works and it rocks. You are the only one who really knows how you spend your time. In our last post we offered some advice to open up time to get more done. Make your own strides to be as productive as you can. You don't have to stick to a traditional schedule. They don't love you. Who cares? Love yourself. This month, we are exploring how to develop online content about yourself and your work so that it is easy, and feels genuine and exciting to share your unique story as as artist or creative entrepreneur with your ideal audience. We completely understand the feeling that marketing your own work can feel difficult, uncomfortable, and well... icky. We are artists, too, and we understand that hesitation. Over time, we have helped ourselves and other artists realize that it really shouldn't feel uncomfortable because a) you are sharing your work, which is interesting and inherently unique b) you don't have to be "salesy" to be heard and c) if you care, then others will, too. Last month, Andrea got the chance to be in the audience for an intimate Q+A with artist Mark Bradford, who recently installed a beautiful show at the Albright Knox in Buffalo, NY. He had worked on a collaborative mural project with local high school students and was fielding questions about his practice after a talk that chronicled his path into the art world. A father in the audience asked him how he could guide his daughter to be a successful artist, since he had the understanding that most artists could not make a living from their work. Mark Bradford answered generously. He said that, yes, he had achieved a high level of fame and success as a visual contemporary artist, but even if he hadn't, he would still be an artist. He would still be an artist even if he was still working at the beauty shop where he worked after finishing his MFA at Cal Arts. He would still feel successful as an artist because it was what he had to do. At the end of the day, it didn't matter to him what accolades he received because he loved himself enough as an artist and identified with that role. "They [the art world] don't love you. Who cares. Love yourself." A glimpse of a Mark Bradford piece at the Albright Knox in Buffalo, NY, part of the exhibition Shade: Clyfford Still / Mark Bradford. Photo by Sara Jones. Bradford's answers struck a chord with me because he had simply and honestly told us why making art work was important to him and why he chose to start the foundation, Art + Practice, though it was not a traditional path of an artist to found a project that "encourages education and culture by providing life-skills training for foster youth in the 90008 ZIP code as well as free, museum-curated art exhibitions and moderated art lectures to the community of Leimert Park." He followed his gut, revealed his unique story as an artist, and no one was confused. We get it. We are inspired by it. We love his work. Clearly share what is important to you, what you are passionate about and what drives you. You will build an audience and a conversation around your work. Stay tuned for future posts this month for practical ideas to share your unique story with the world through social media, your website and in person. Please be sure to sign up for our newsletter to receive posts and other opportunities mailed straight to your inbox. Stay true to your work despite criticism. FACT: You are the only person in your world who does what you do in your unique way. We truly believe in that statement. During meetings with a recent 1:1 DELVE Toolkit client, when talking about why she has trouble talking about her art work in an effective way, she opened up and told us that she can feel extremely swayed and distracted by comments about her work. A gallery owner or fellow artist would make an off-hand comment, and it would confuse her and make her feel insecure. Why weren't the choices she was making valid? She couldn't remember the good things they had to say about her work because she was focused on the negative aspect, the part that made her feel uncomfortable. We can venture to say that most of us have done that over and over again when in conversation about something that is extremely important to us: our work. Staying true to her work was difficult because she, at that point, could not achieve clarity in communicating her work in person or in writing. She couldn't walk into a room and state exactly what kind of artist she is since she worked in different mediums and was coming back to a serious art practice after some time away from it due to life circumstances. Throughout the first four weeks of the DELVE Toolkit, she got a true sense of how to speak and write about her work in an effective way. It gave her confidence and motivation. Through a series of questions via the 1:1 DELVE Toolkit, we took a deep dive into her process, history as an artist, what motivates and inspires her work and why she makes it. Like most artists, her work comes from a very personal place but didn't feel comfortable sharing every nitty gritty detail. She didn't have to. The key to getting the best artist statement and verbal pitch is to get every detail out, write it all out, then pare it back from there. We achieved that. It turns out that she has a lot of trouble writing and found it easier to have a friend ask her the questions, and she recorded her verbal answers, then transcribed them. She found two other artists whose work she admired and whose work resonated with hers and read everything they write and has been written about them. 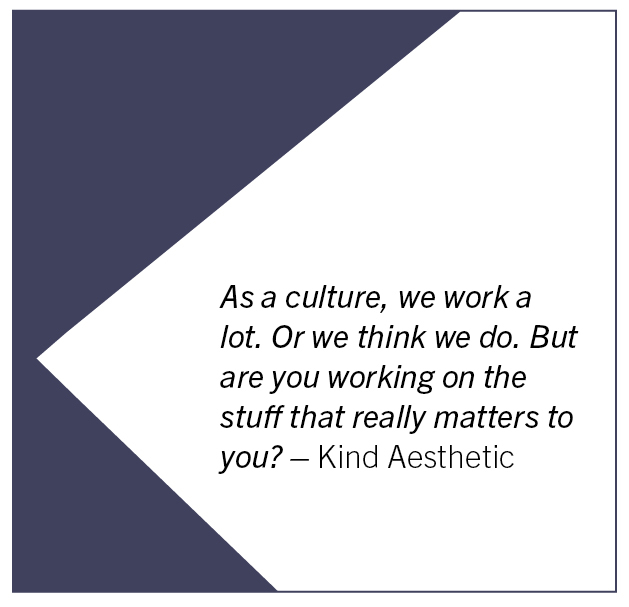 Over again, we practiced answering the question: what kind of work do you make? When you put yourself and your work out there, you are opening yourself up to comments and criticism. Stick to your unique vision and decisions. Make the mistakes that you will make. Because that vision and those mistakes are what will make the best work.